For mounting flashlights to bike handle bars. 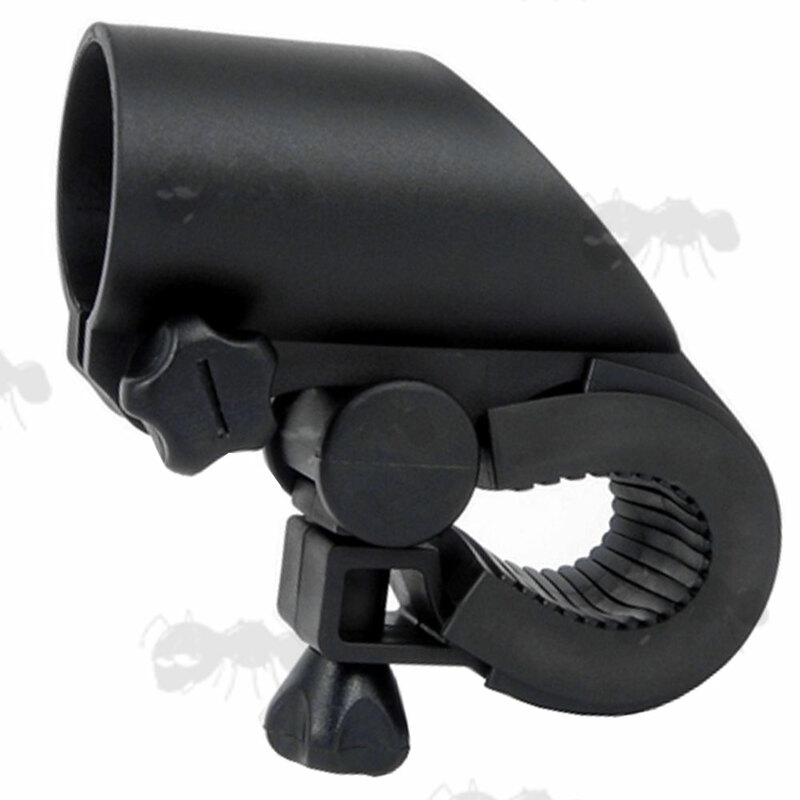 Next > Solarforce Bike Torch Mount. Black straps and rubber block. 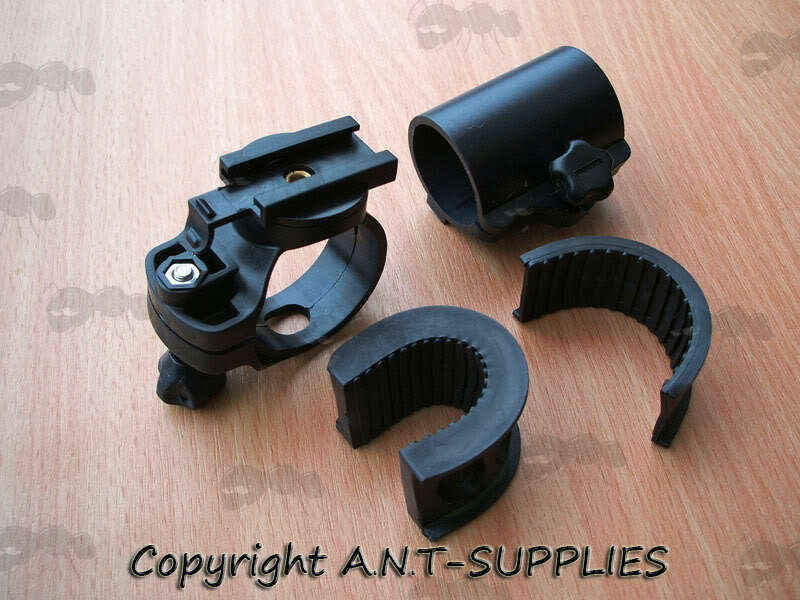 For 25mm / 1 inch to 19mm / ¾ inch tubes, with give either way. 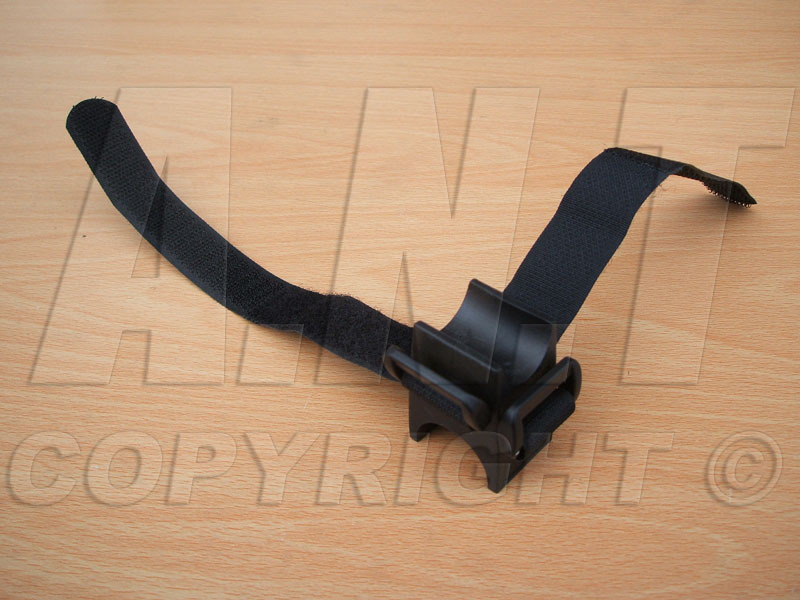 Nylon straps can be adjusted to fit a variety of diameters. 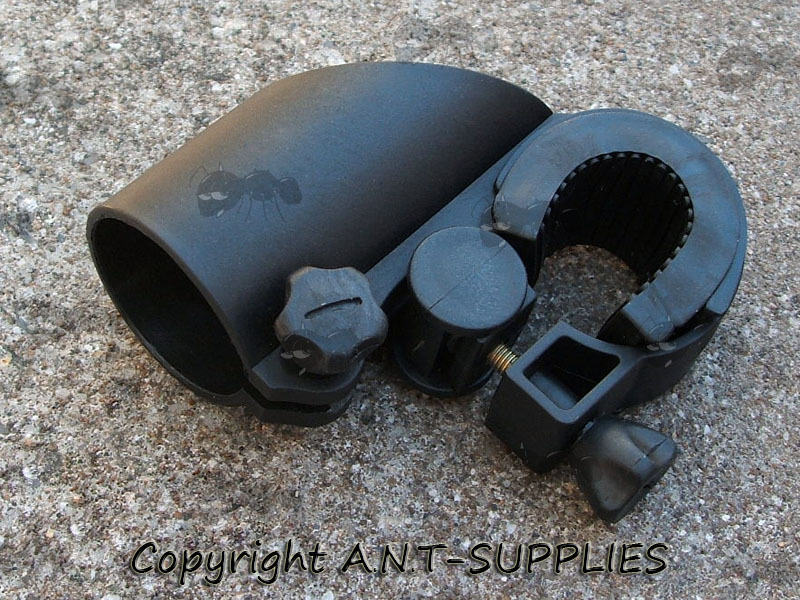 Soft rubber block so not to damage paintwork and to allow adjustment for different size fittings. 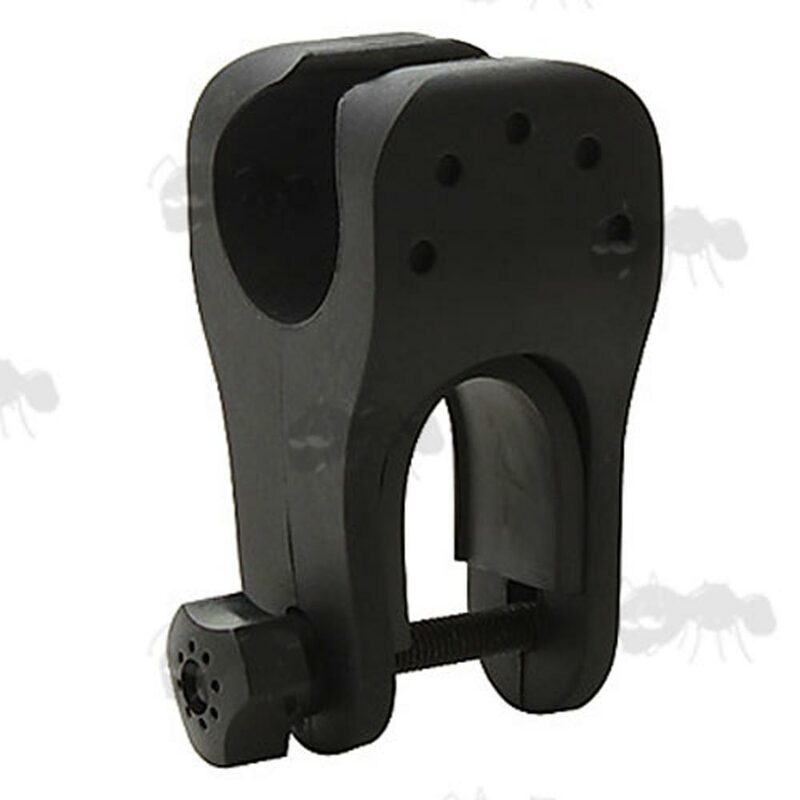 Strong and secure hold that can be removed quickly when needed. 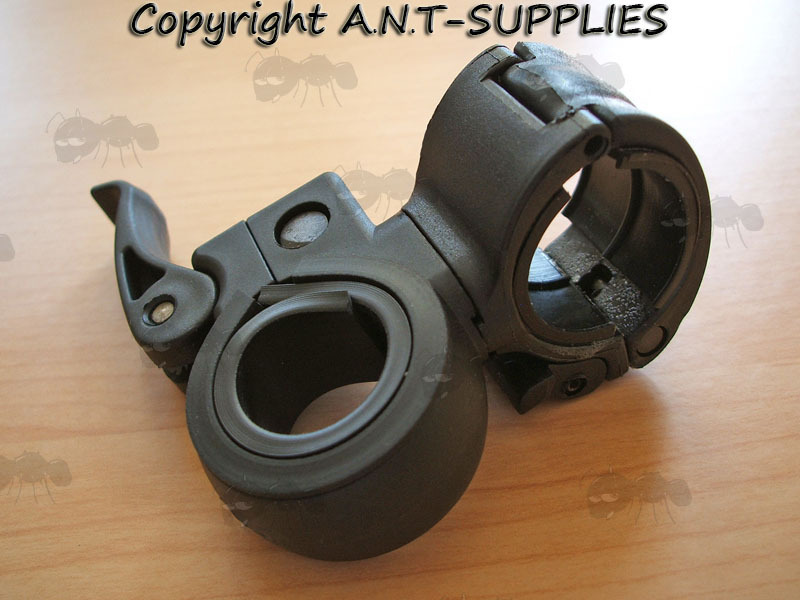 You may also be interested in the inline universal rifle scope mount in this style. Next > Rubber Bicycle Torch Mount. Well made fixed position design. 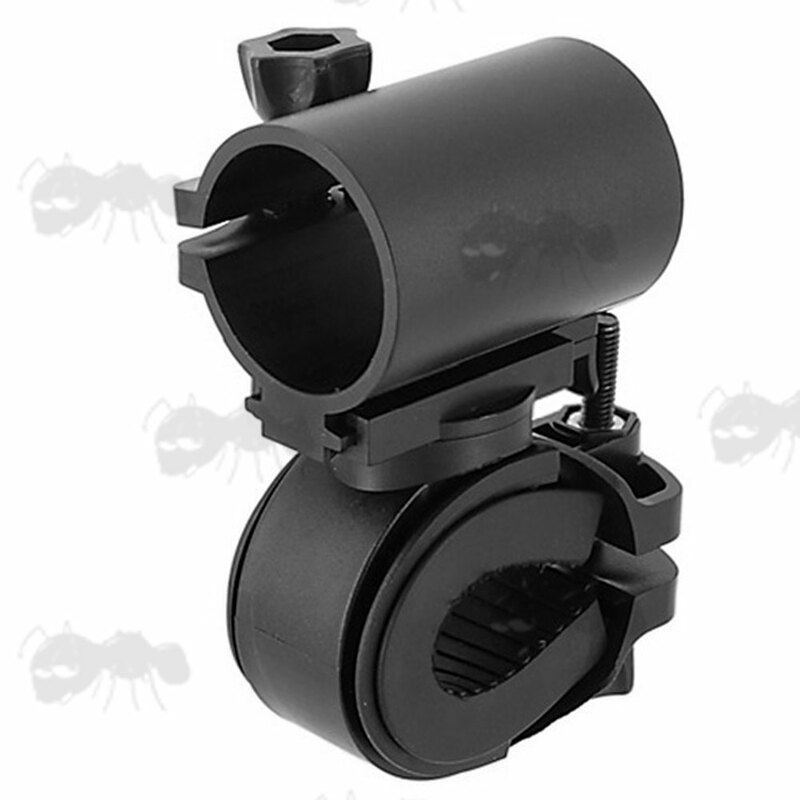 Tough black plastic with fixed and removable rubber inserts. Steel bolt and nut tightening adjusters. Not for thick handle bars. Well made, simply and effective design. although it can't be locked in place. 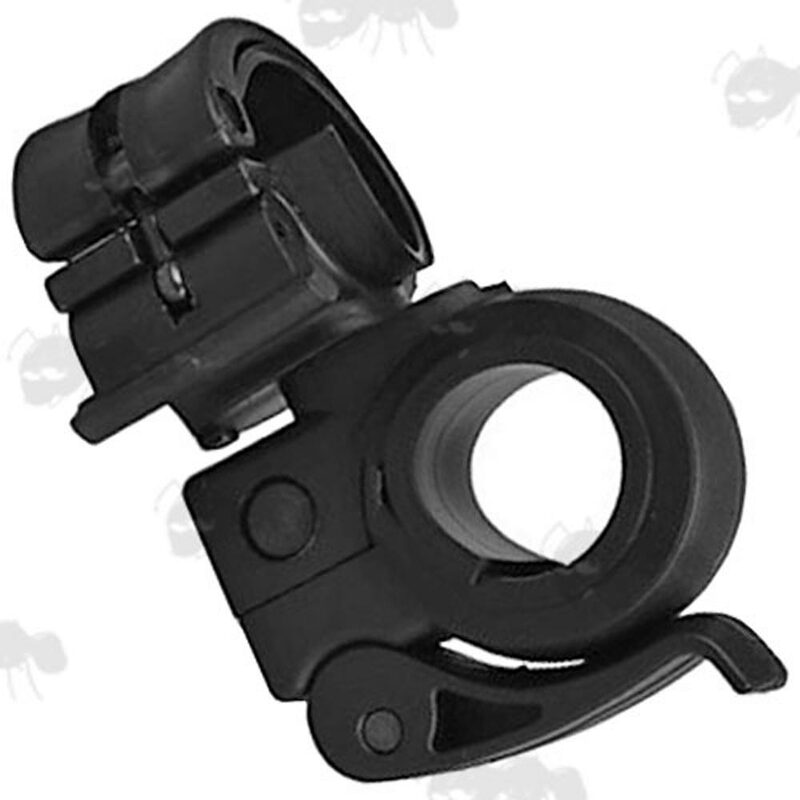 Next > Quick-Release Bicycle Torch Mount. Tough rubber block with removable rubber insert. Steel bolt and nut tightening knob. 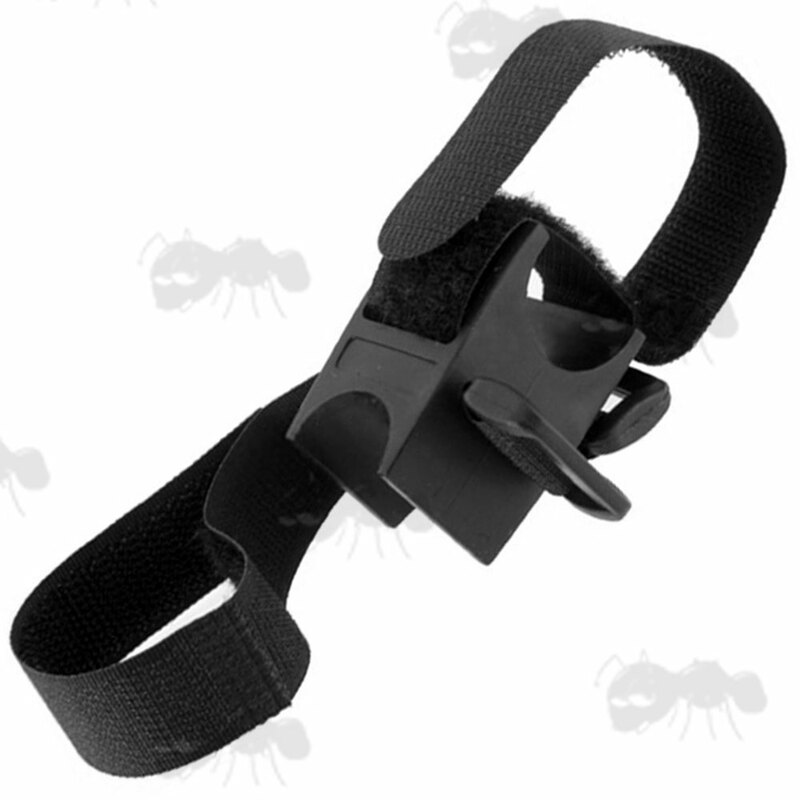 Strong and secure hold while allowing for quick removal of your torch when needed. Metal bar may need covering to prevent scratches to paintwork. For 25mm/1 inch diameter tubes, with some give either way. 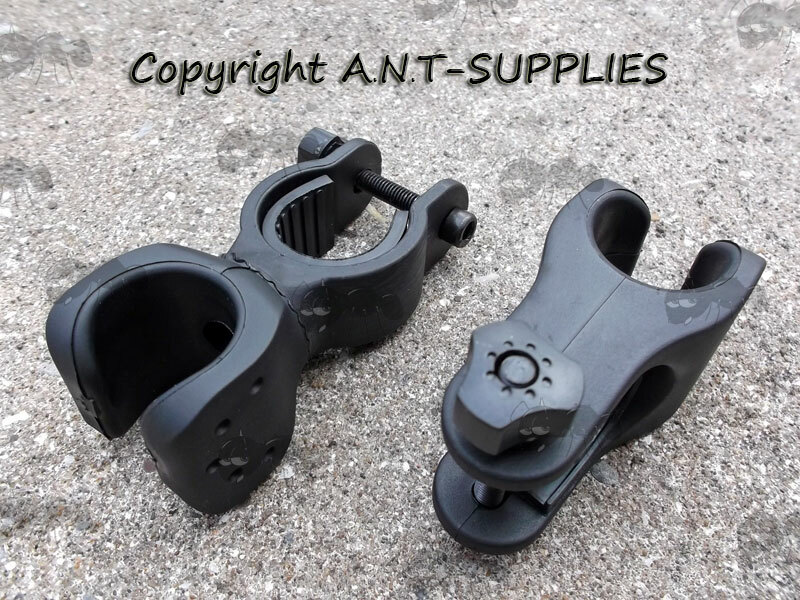 The fixed version is not suitable for thick handle bars, the swivel version will stretch to 30mm. Head rotates 360° and has a small notch to hold it in the forward position when required. For fitting 25mm diameter torches to 22 - 33mm diameter tubes. The head barrel has a small release toggle to allow for the torch and barrel to be slide off of the mount. For fitting 25mm diameter torches to 15 - 33mm diameter tubes. Well made, slim and effective design. 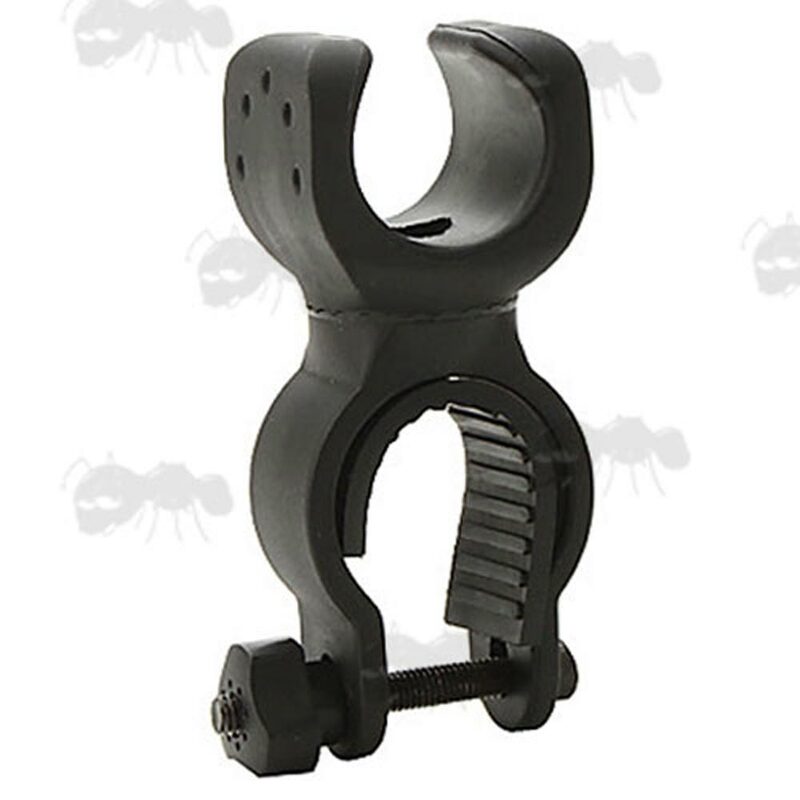 Strong and secure hold while allowing for quick-removal of the whole mount or just your torch when needed.